The global order has changed, and under Trump, the United States – at least at the federal level – has ceded any pretense of global leadership on the most pressing issues of our time, including climate change. We ask you: Do not let Donald Trump pick the next World Bank Group President. In affairs both domestic and international, Trump has proven time and again that his nominations and appointments are predicated on blind loyalty, not merit. At this crucial juncture, we cannot afford to be dragged backward by a Trump nominee just because of a backroom agreement that was struck in the 1940s. That when considering candidates, you prioritize their commitment to sustainable development and ambitious climate action. We can’t afford backsliding the important progress the World Bank Group has made on the issue of climate change in recent years. Recent World Bank Group actions have inspired other financial institutions, both public and private, to step up. We need the World Bank to go further and faster on the critical issue of climate change, not to go backward. Overshooting the Paris Agreement’s climate limits would undermine the World Bank Group’s central aim of ending extreme poverty, reversing recent development gains and hurting the most vulnerable, by making it much harder for those in extreme poverty to ever escape it. 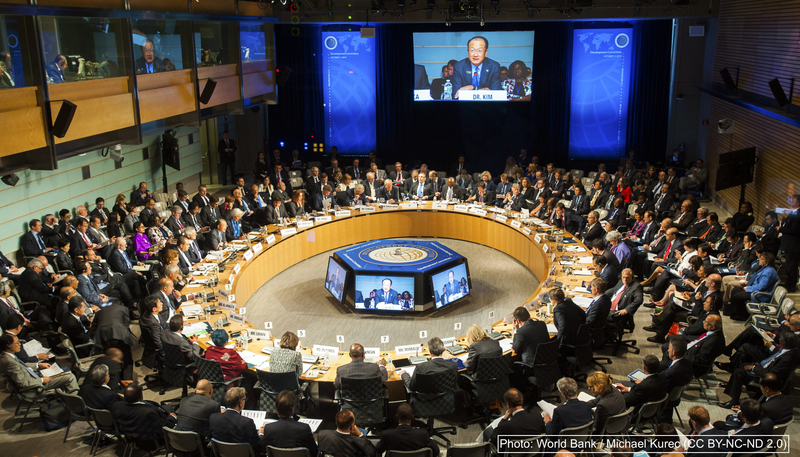 If we don’t do something quickly, the Trump Administration could choose the next World Bank president. That could spell disaster for the climate and the world’s poorest people. We can’t let it happen. President Trump has now nominated David Malpass to be World Bank President. Malpass is an almost-cartoonishly bad choice: as Chief Economist of Bear Stearns, he led the global economy off a cliff into the global financial crisis in 2007. He’s also repeatedly downplayed the urgency of the climate crisis in public statements. If approved, Malpass would be a disaster for the World Bank – and the world. The World Bank is the most prominent global development bank, and it is one of the world’s largest sources of public funding for developing countries. Thanks to our collective pressure, the World Bank promised to dramatically scale back their financing for oil, gas, and coal. Trump could undo that massive victory unless we act. It’s time to sound the alarm: if Trump gets his way, the big steps the World Bank has taken to cut its fossil fuel finance could be under threat. We need a climate champion in the driver’s seat of the World Bank for this conversation. Given that Trump is busy tweeting ridiculous lies about climate science, and his Cabinet is stacked with representatives of the fossil fuel industry, we’re not optimistic that his nominee will fit the bill. We need your help to convince other governments that it’s past time to repudiate Trump and pick a real climate leader to head the World Bank. Tell World Bank Executive Directors to stop Trump from appointing the next World Bank President.